Ella, Crystal and Lucy come in 3 skin tones (Mocha, Peach and Porcelain) and have 5 lip colors in base system skins. In my photos, I used the Mocha skin tones (on Catwa head.) Each of these also comes in different eyebrow color options: blonde, brown, dark brown, taupe, and a tintable mod in tattoo layers. The skins are also available in Catwa (which is what I'm using in the photos) and Visage head appliers. They also have Slink Physique, Maitreya and Omega appliers for the mesh body users. (Lucy skin has an extra applier for Loud Mouth mesh users.) I really love that this brand provides so many options to accommodate different head and body types. 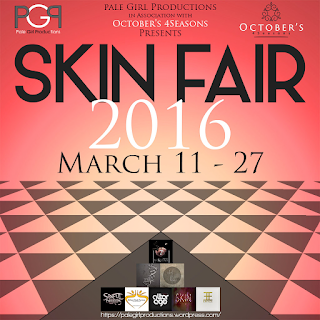 Make sure to visit Enfer Sombre at the Skin Fair and try their free demos. 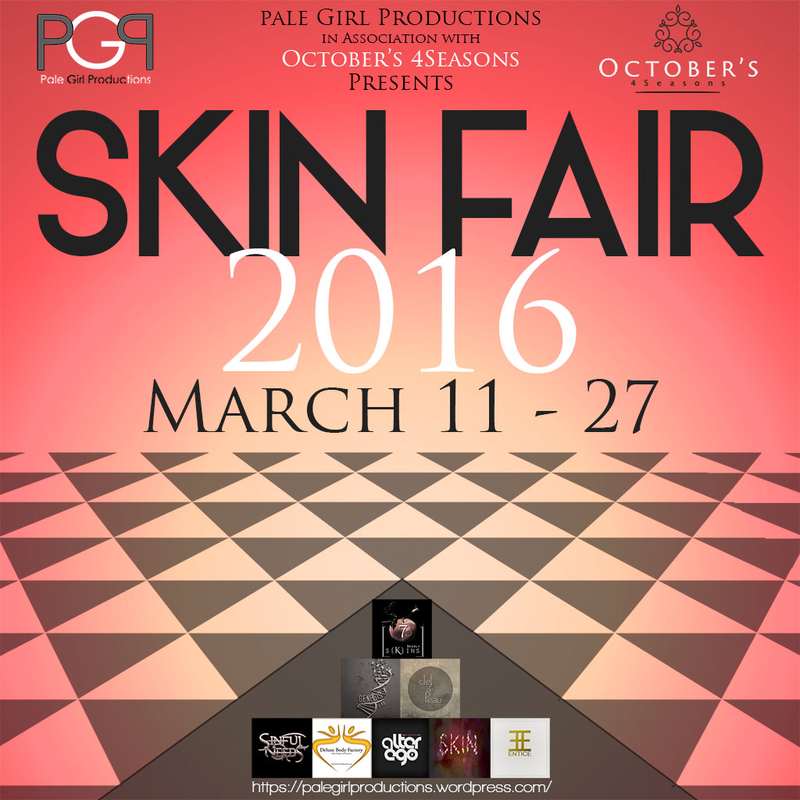 The Skin Fair will open tomorrow, March 11th and will run until the 27th of the same month.